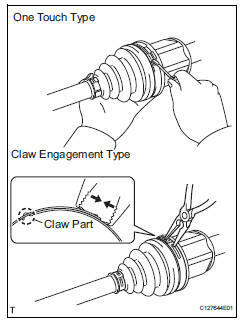 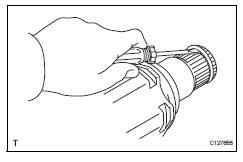 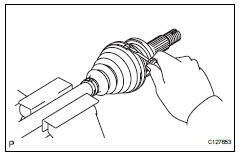 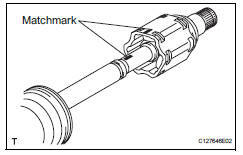 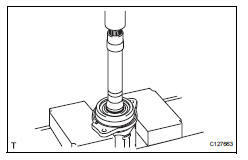 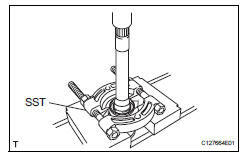 Remove the front drive shaft damper from the outboard joint shaft. 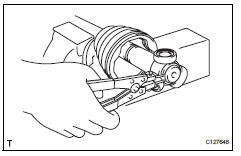 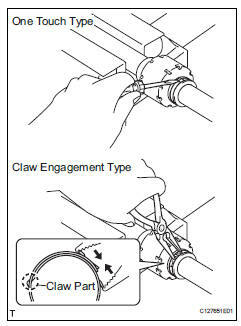 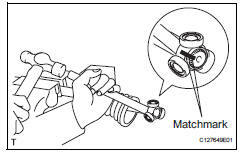 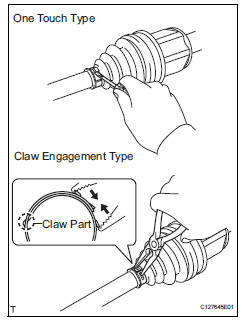 Using a screwdriver, remove the bearing case snap ring. 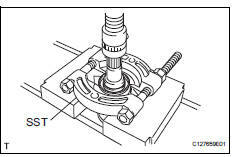 Using a press, press out the drive shaft bearing case. 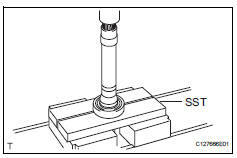 Using sst and a press, press out the drive shaft dust cover. 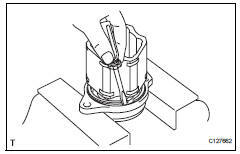 Remove the bearing case snap ring.